Of course, we must keep on trying to stamp out the people who are selling these death traps. So, here in the UK we even import the old tyres that Germany taken off their cars. Explicitly, a stupid state of affairs it makes me feel sick. In the UK, also fit Partworns from junk yards, not knowing anything about it. We just fit these Unsafe deadly Tyres onto our cars, not knowing what dangers lurk inside them and they could blow out at any time. Good luck to the RMA in America. Thousands of illegally dumped car tyres have been found hidden behind the walls of a derelict mill in Lancashire. Dumped tyres still pose an environmental problem ? that the people who are running these places dump tyres. In fact one mill in Bradford , West Yorkshire. Had close to a million Dumped tyres locked away . As a result, the poor mill owner had to pay all the cost of removal. All this to save 60 pence per tyre. For legally removing them to a waste site ?. What has happened to the Government ? why dont they clamp down on these people we in the legitimate tyre businesses do the job right and we know who these people are, so why are the Dumped tyres not investigated ?. Dumped tyres cause many issues? cause irreparable damage to the environment and cause unsightly piles of dumped tyres that spoil the country side and on waste ground in the towns and cities. The criminal element in our society are charging garages and tyre dealers to collect their waste tyres and then illegally Dumped tyres or exporting them to avoid the costs of the correct recycling methods of treatment. This does affect legitimate Waste Disposal tyre collection businesses who are under priced out of the market. TyreSafe has today distributed the following release. Of course, as members of “Tyresafe” then we are pleased to see that some of the people selling these things are brought to some sort of justice ! Including, the good news of recent convictions of retailers. Consequently, across the whole of the UK. These have once again highlighted the potential risks. Significantly, aimed at unsuspecting motorists take when taking the risk of buying part worn tyres. Subsequently, part worn tyre traders who sell these to the public. So, have been investigated by Trading Standards and TyreSafe. Resulting, in each instance, that the retailers have now faced stiff penalties and fines. Hence totaling thousands of pounds. Expressly ,in December 2018, the owner of Springside Tyre and Valet Centre. So, in Irvine, Scotland was handed a 120-hour Community Payback Order. Explicitly, for breaches in product safety and consumer protection regulations. Of course, following prosecution by Trading Standards officers from North Ayrshire. Accordingly, at the accused hearing. So, it was revealed tyres had been offered for sale with an 80 mm nail through a sidewall. Including a part worn tyre with a mechanics socket embedded in the tread. Subsequently, over a two month period, three other part worn tyre dealers were prosecuted. Henceforth, by Brent & Harrow Trading Standards having to pay a total of over £15,000. Another prosecution, in January 2019, the director of Grays Tyres (Kingsbury) was fined £3,600 and ordered to pay £1,112 costs. Including a £60 victim surcharge. Directors of S & F Tyres Ltd (Kingsbury) pleaded guilty on behalf of himself and his company. Both of which were each fined £2,500 and ordered to pay £1,122 costs and a £50 victim surcharge. In February the director of Pennant Tyres (Willesden) was fined £3,000 and ordered to pay costs of £1,117 and a victim surcharge of £75. Colleagues in Ealing brought charges against the director of JFH London Ltd trading as Perivale Tyres (Greenford), who entered a guilty plea and was fined £500 and ordered to pay prosecution costs. “The continued vigilance of Trading Standards teams the length and breadth of the UK means at least some illegal and unsafe part worn tyres are being removed from the market. However, it is clear we are just scratching the surface of a trade where a completely unacceptable level of professional incompetence and worryingly high proportion of dangerous products are being sold. Nobody is arguing for an outright ban of part worns but when over 60% of tyres inspected by Trading Standards and TyreSafe are unsafe to return to the roads, it is clear that the sale of part worn tyres all too often represents a clear and present danger to road safety”. The Easter holiday season is coming up ! When car/caravan and motorhome owners are looking for some more tyres, before venturing off. Please be-aware of buying part worn tyres. Including, replacing runflat tyres with normal tyre. There guys are not worried about what you fit onto your car they are just after easy money. Tyresafe Campaign about part worn tyres; are just not worth the money ? For all tyre safety matters this is the web-site to look at . So inwardly digest what they are saying. Before buying Part worn tyres you must look at what they have to say?. To prove a point, the Tyresafe Campaign . 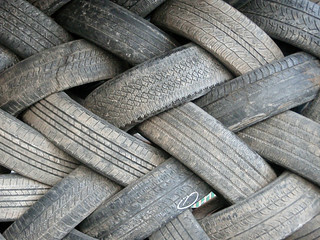 By buying sample part worn tyre products from all over the country. Thus, working out the real worth of part worn tyres . Hence, the facts are startling. As a result, you should not be buying these tyres. Unfortunately, not only could they be dangerous . But” pound for pound” they are not worth the money . Consequently, that you will pay out for them . What constitutes a part worn tyre to be sold legally? Many local council trading standards officers . Are pursuing part worn tyre outlets . Frequently, prosecuting the ones that are breaking the law. Not least Warwickshire County Council. Part worn tyres must be checked for cuts, bulges, exposed tyre cords . So, should have no foreign bodies embedded in them . Such as nails and screws. For this reason, they should be clearly marked as part worn tyres. Including, with a minimum tread depth of 2 mm all round. Before they can be sold. For this reason, we have had many of our own customers . Who have paid up to half the price of a cheap new tyre . Than for a part worn. Thus, only to find out that the tyre has only lasted them for a couple of weeks. Complete false economy? This The Tyresafe Campaign is most welcome? This is great news. Especially for us tyre retailers that run a legitimate business. As a result, we are all sick to see all the back street tyre shops. Hence, that have recently opened, selling part worn tyres. We all know that most of the old tyres that these people sell are “Illegal”. Even more annoying, is that members of the public buy this rubbish for their vehicles. I see this every day. Drivers think that they are saving money. However, it has been proven many times that this is false economy. In addition, we have had many disillusioned drivers calling into my depot here in Halifax UK. Disillusioned, because the tyre that they have just payed £20 for, only lasted them for two weeks. As a result, we examine many of the tyres that we remove. Hence, after being bought as part worn tyres. Most of these tyres were the pits? They were just over the legal limit with cuts and cracks all over the tyres and many our well over the age limit. Including the sidewalls and the tread areas. The people who sell these tyres should be banned from been in business. In fact I have visited countries such as Egypt. These back street places resemble such third world countries. As an industry we have fought for years to make tyre safety a priority. Including, tyre tread depth and rules about repairing tyres and the age which tyres should not be fitted. People who sell illegal part worn tyres should be closed down. I frequently pass these places and it makes me cringe. Thus, when I see regular motorists have these tyres fitted to their cars. Also I often see taxis having these death traps fitted. As I have said on many occasions. Then I do not mind the sale of “legal” part worn tyres being fitted. But looking at the state of these places then I very much doubt that anything about these companies will be carried out legally. Including, public liability insurance and many other things that we legitimate businesses have to provide to be able to trade with a clear consciousness. Firstly let me say that I have nothing against selling part worn tyres. Hence, if they are “LEGAL” part worn tyres. Of course, I will explain what i mean? The crisis always starts at the end of an economic recession. Thus, buying part worn tyres is all part of drivers balancing household budgets. For some reason, tyres are not respected as a car safety item by all motorists. Because of this tyres are one of those things that are put at the bottom of the pile. Accordingly, we in the tyre trade have seen this all this before. In fact the last time was in the 1990’s. The older tyre retailers amongst us will remember all the little bucket shops that opened up over night.as a result, selling second hand tyres. These people did not care about the condition of the tyres that they sold to the public. For this reason, the tyre trade protested adamantly. Eventually, a new tyre law was introduced. This was to sift out the genuine second hand tyres from the rubbish that these back street tyre shops were selling. The new law was also monitored by the trading standards organisation. As expected the trading standards went around enforcing the law and many of these illegal tyre shops closed down and heavily fined. Time has since gone by. Hence, with the next economic recession raising it’s ugly head in 2008. This triggered another spate of part worn tyre shops. This time they opened in mainly immigrant areas, along with the advent of car washes. Many of these bucket shops are run by young men who have never probably heard of tyre laws, including the one that regulates part worn tyres in 1995. Once again we in the tyre trade are up in arms. The public should be warned about these tyres that could have safety issues. This Tyresafe.org article should be given to every driver. This video is really welcome. because as we all know Quentin Willson, is a well known public face in the auto industry, here in the UK. In my opinion, we cant get enough.Thus, about educating the public about the false economy. hence, of buying these death trap tyres. The most annoying part of this subject. As expected, came about in the 1990’s. We then campaigned against these possible deadly tyres to be removed. Hence, a new law came out. This law raised the standards and most of us legitimate tyre dealers were happy with this. Then for some reason, everything went to pot. More and more of these tyre shops started to open. Thus selling tyres that do not comply to the law. In other words, illegal tyres. Let me start off. Thus, by saying that this is not the first time this debate has reared its head before. Thus, the problem mostly occurs when we are in a recession. Naturally, motorists have to make cost-cutting measures in their budgets. Which means them looking for cheap tyres in Halifax. This is when the debate begins. In the last bad economic squeeze. Hence, in the 1990s the EU and the UK Government had the same problem. As we are having now. Businesses selling tyres were tempted to store. As a result, any good looking tyre that they removed. hence, to sell on as part worn tyres. This was to try to keep their companies up and running. They were mainly small type tyre shop type businesses. Who saw this as the only way out. Also, people saw this as an opportunity. So to make some easy money. As a result, and started going round tyre retailers. Collecting their so-called “old scrap tyres”. They would then pick out the so called part worn tyres.Selling them on to the careless motorists. In fact, I know one dealer that did so well. That he went to night school to learn German so that he could go live in Germany and set up business sifting through the Germans old tyres to re-sell here in the UK. All these methods of obtaining second-hand tyres were flawed by the fact that the tyres were never tested. Although most of these tyres would probably have been alright, some were not and it was pot luck whether you got the good ones or the bad ones. To me, the most important part is the fact that the part worn tyre must say”PART WORN” in capital letter on the tyre and it must be vulcanised not written or cut out in the sidewall. So if you just can not afford a new or remould tyre, please check this out, if it does not say this on , please do not have it fitted. This is the actual wording of part 12. Unfortunately, we are now in yet another rescission and the same problems are cropping up as in the 90s. The problem is that we now have a new generation of tyre shops spring up all over the country selling part worn tyres. Unfortunately, we appear to back where we were before the 90’s tyre laws came out with people selling tyres that have not been tested and without the part, worn labels vulcanised on. This is more of a problem because our roads and motorways have become much faster and much more congested, and may turn a tyre blow-out into a major motorway incident ?. NEW TYRES cost; Go for the cheap new tyres they work out at a less cost than part worn tyres. TyreSafe is now trying to educate the motorist about the dangers of unchecked part worn tyres. More importantly, they have investigated the “MYTH” that part worn tyres are cheaper than NEW TYRES cost. In fact according to their figures, priced in millimetres of tread new tyres are actually cheaper than part worn tyres. This is an average cost because new tyre prices differ. With motoring costs reaching record levels, a growing number of drivers are choosing part worn tyres in the belief that they offer better value. However, TyreSafe’s investigation into NEW TYRES cost also disproved this myth as it found that the average cost per mm of the useable tread of the part worn tyres was £6.33, whereas the comparable cost when selecting an equivalent new tyre was 16 per cent lower at £5.32. Please use the link bellow for the excellent article.